If you are in the US and have been waiting for the Samsung Galaxy S4 Developer Edition then we have some good news, as the Verizon variant is now available from Samsung. We have some details of this as well as the price of the Galaxy S4 Developer Edition on Verizon. The Samsung website now lists the Verizon version of the Galaxy S4 Developer Edition. When this first appeared on the site, the AT&T version was also listed but that Developer Edition model has since been removed for the time being. 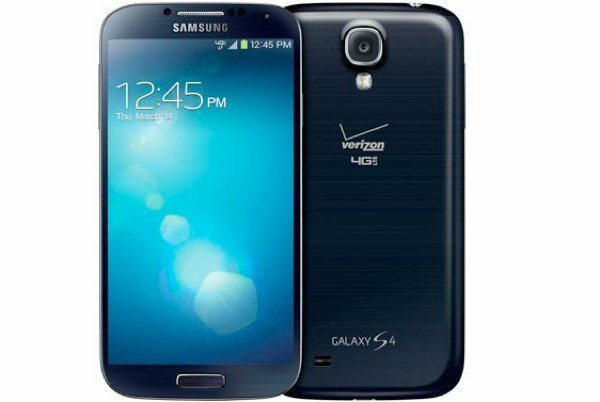 The Verizon GS4 Developer smartphone still listed though and is virtually the same as a standard unlocked Galaxy S4. However, the Developer Edition does have an unlocked bootloader, enabling developers to easily use custom ROMs or hacks. Specs of the Developer Edition (SCH-I545) include a 1.9GHz quad-core processor, 5-inch Super AMOLED full HD display with resolution of 1920 x 1080 and 441 ppi, 2GB of RAM and 16GB of internal storage, expandable via microSD. It has a 13-megapixel rear camera, 2-megapixel front-facing shooter, and runs Android 4.2.2 Jelly Bean skinned with Samsung’s TouchWiz UI. Features include Air Gestures, Smart Scroll, Smart Pause, and Smart Unlock, along with much more. The Galaxy S4 Developer Edition on Verizon is priced at $649.99, and this model is only available in Black Mist. We should point out that this is not the same as the Galaxy S4 Google Edition that will release, as that phone will run stock Android Jelly Bean. If you want to see more about the Samsung Galaxy S4 Developer Edition on Verizon, head to this Samsung product page. We have noticed though that currently this is on back order as it is out of stock. Will you be ordering the Developer Edition of this phone on Big Red? Let us know with your comments.